Description of Dependency Theory. Explanation. Dependency Theory is a mass communication theory that studies long term effects of media on their audiences. The Dependency Theory is also known as Media System Dependency Theory or Media Dependency Theory. It is aimed at studying long term effects of media on their audiences. It has been firstly introduced by Sandra Ball-Rokeach and Melvin DeFleur in their 1976 article “A Dependency Model or Mass-Media Effects", Communication Research, 3, 3-21 and was developed in their 1989 book ”Theories of Mass Communication”. Dependency Theory is the first mass communication theory that considers audiences as an active part of the communication process, unlike the Hypodermic Needle Theory and its successors. This peculiarity makes the concept still valid in current times. It was developed from the follow-up of researches about its parent theory Uses and Gratifications of whom it can be considered an extension. Like its parent theory, Dependency Theory assumes that people make use of media to achieve certain goals and to satisfy certain needs. See: Hidden Needs, Hierarchy of Needs, Theory of Needs. The capacity of a medium to satisfy the needs of an individual as much as possible. An individual will become more dependant on a medium if it meets a larger number of his/her needs then if a medium meets only s small number of his/her needs. Social stability. In a period of intense social changes, such as presidential election, conflicts, crisis, individuals are called to reevaluate their values, beliefs and practices and consider new choices and behaviors. In such situations the dependence degree increases dramatically, because there is a strong need for advice and support. When the social environment stabilizes, people’s reliance on media decreases. 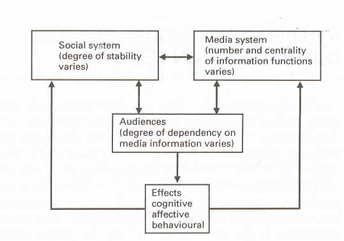 As an active component of the communication process, audiences select their preferred media based on individual needs and other external factors such as culture, social political and economical conditions, etc… This means that an individual will be less dependent on a medium if there are more alternatives, also non media ones, to satisfy his/her needs. Finally, as indicated 1999 by Sun et all., the number of media and non media alternatives depends on an individual psychological traits, but is constrained by above mentioned external factors, including the availability of media in a country. According to the Dependency Theory, the media - aware of their ability of creating dependence relationships with their target audiences - use their power to achieve their goals. It is interesting to compare the process of Dependency Theory with: Spiral of Silence, Hamelink's Ten Commandments for Media Consumers, Stephenson's Play Theory of Mass Communication and Gerbner's Cultivation Theory. Individuals are attracted by media offering content able to satisfy their needs for understanding, orientation/information, entertainment. Dependence relationships of different intensities start. The higher the intensity, the stronger is the cognitive and affective stimulation. 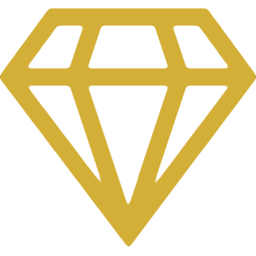 The cognitive stimulation serves to boost and maintain an individual’s level of attention; the affective stimulation serves to enhance an individual’s level of satisfaction. An amplification of both these stimuli activate a higher level of involvement that enables information processing and memorization. An augmented involvement allows for ever increasing media effects on individuals at cognitive, affective and even behavioral level in the long run. Similarly to Cultivation Theory and other theories on long term effects of media, it basically contradicts Persuasion Theory, stating that in the short run media are not capable of influencing people’s behavior. Several effects of advertising on individuals demonstrate that this statement cannot be true. Since Dependency Theory has been tested directly on individual's data it could be skewed because people may not even realize the real power media have over them so they tend to underestimate their effects. Audiences are considered active and there is no mention of grey shades: in reality audiences are made of individuals and their attitudes are different each other. Some individuals can be more active than others. There is no mention of repetitive behaviors of people: actually many people watch a medium because it has become one of their habits; habits can generate dependant and repetitive behaviours. This ends our Dependency Theory summary and forum.